Sydney-Airport-Hotels.com specialises in accommodation that is close to Sydney's International and Domestic Airport terminals. 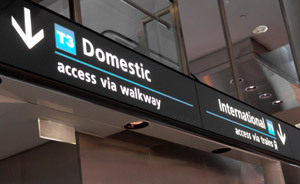 There are several major hotels that service Sydney Airport. These hotels range from basic three-star accommodation (one newly built; the other recently refurbished) -- ideal for a quick stop-over or between flights, to the luxurious five-star hotels on the shores of Botany Bay, tucked away from the noise and surrounded by golfing greens and parks and with all the amenities one would expect from a five-star hotel.